Most dredgers have a full GMDSS-installation, including a HF-SSB receiver. This radio-receiver can be tuned to frequencies in the HF-marine band so as to receive weather-faxes, send by certain coastal stations, listed in the frequency-list herewith, or in Admiralty List of radio Signals. A two-core cable is connected to the loudspeaker of the SSB-receiver, and plugged into the soundcard of a PC. 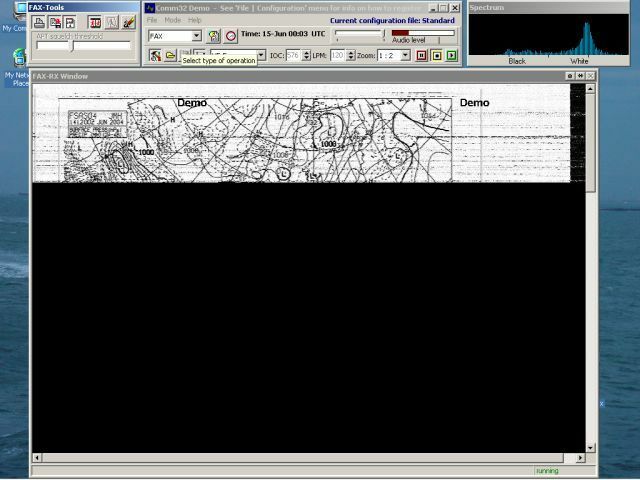 Install dedicated software (like JVComm3) on the PC, and you have an online, weatherfax-receiver. The software detects the start of a transmission, saves the image (a weatherchart), and can print it out automatically. The software contains a good help-file that explains all. JVComm3 sofware recieving a forecast through a SSB-receiver. The whole system can be online 24/24 and need no attention at all, except for reading and interpreting the weathercharts. On GM, we connected a stand-alone PC and printer to the HF-SSB-receiver, and had good reception of weatherdata at distances up to 5000 miles from the station, with signal quality depending on weather conditions. 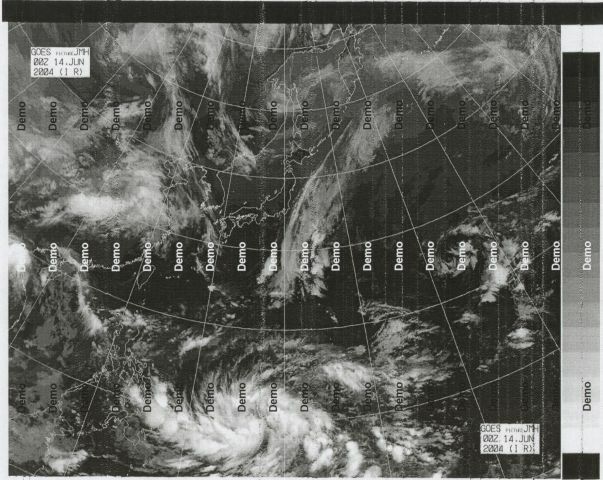 Sample infrared satellite view, as received with a "software" weatherfax. JVComm3 is a fully functional program that can be downloaded from internet, though other software exists. You need the GMDSS HF-SSB-receiver and any scrap PC or laptop with a soundcard.